Welcome to Umbrellabagger.com, your source for high quality wet umbrella bag stands, umbrella holders, and replacement umbrella bags. 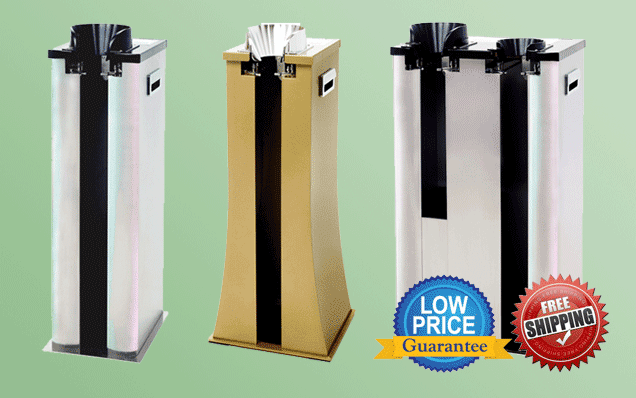 Our collection features all-new automatic umbrella bag dispensers, ideal for both commercial and residential facilities. 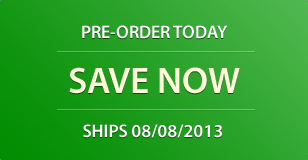 We invite you to browse our website and contact our professional sales team for additional assistance. 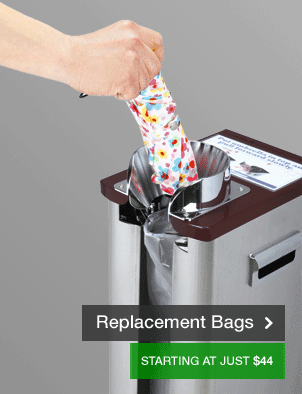 With our automatic umbrella bag dispensers, there's no more plucking and placing wet umbrellas into troublesome plastic bags. Visitors simply place their wet umbrella into the hole at the top of the unit, and it is bagged automatically. No trouble. No mess. 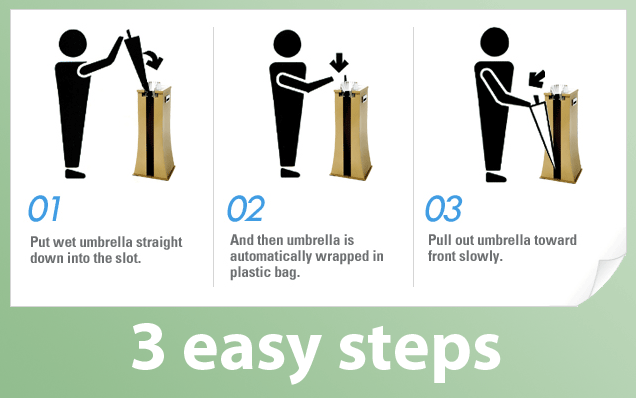 Why Use Wet Umbrella Bag Dispensers? Slippery walking surfaces are a primary cause of accidents in both commercial and residential entryways. Even minimal liquid accumulation can make marble, hardwood, tile, and other flooring surfaces dangerous. 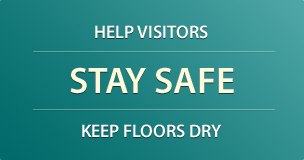 Snow, ice, and other debris can likewise contribute to dangerous floor conditions. Although floor mats are effective in wiping dirt, debris, and moisture from visitors’ shoes, wet umbrellas may still carry liquid far beyond the entryway and across lobby floors. Puddles may accumulate in reception areas, along corridors, within elevator lobbies, and in other areas that are not regularly cleaned and maintained. This presents a danger to customers and employees alike, particularly in areas that are dimly lit. A Proactive Solution: Our collection of automatic wet umbrella bag dispensers gives guests a fast, convenient, and effective way to stow wet umbrellas. Once wrapped, umbrellas can be carried throughout the facility without dripping water, causing puddles, or leading to costly accidents. Our new collection of wet umbrella bag dispensers is now available in both single and double dispenser models. Replacement wet umbrella bags also available. Ideal for commercial and residential facilities that experience light to moderate visitor flow. Our single-dispenser model features 1 insertion chamber, enabling guests to wrap umbrellas in a single, fluid motion. 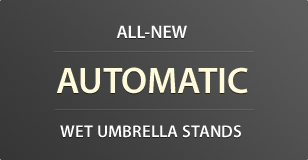 Learn more about Single Dispenser Umbrella Wrappers. Upgraded for facilities that experience heavy visitor flow, our double-dispenser model carries twice the number of wet umbrella bags and features 2 insertion chambers. A must for heavily trafficked buildings, this model services twice the number of guests before needing re-stocked with additional bags. Learn more about Double Dispenser Umbrella Wrappers. Replacement wet umbrella bags are now available for purchase! Made with HD Polyethylene, these bags are designed exclusively for use with Single and Double Dispenser Wet Umbrella Wrappers. Shop replacement umbrella bags.